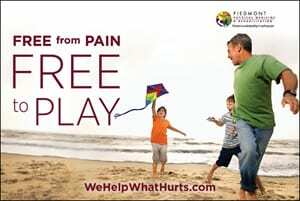 Free From Pain - Piedmont Physical Medicine & Rehabilitation, P.A. Free From Pain. Free to Play. At Piedmont Physical Medicine and Rehabilitation, PA we measure improvement in quality of life as one of our success indicators. Visit us at piedmontpmr.com.